Lot Detail - Bob Goalby's 1997 Masters Tournament Contestant Badge #89 - Tiger Woods First Masters Win! Bob Goalby's 1997 Masters Tournament Contestant Badge #89 - Tiger Woods First Masters Win! Tiger Mania was in full effect after Woods claimed his first Major at the 1997 Masters Tournament. Tiger's 18 under was 12 shots better than Tom Kite in second place. 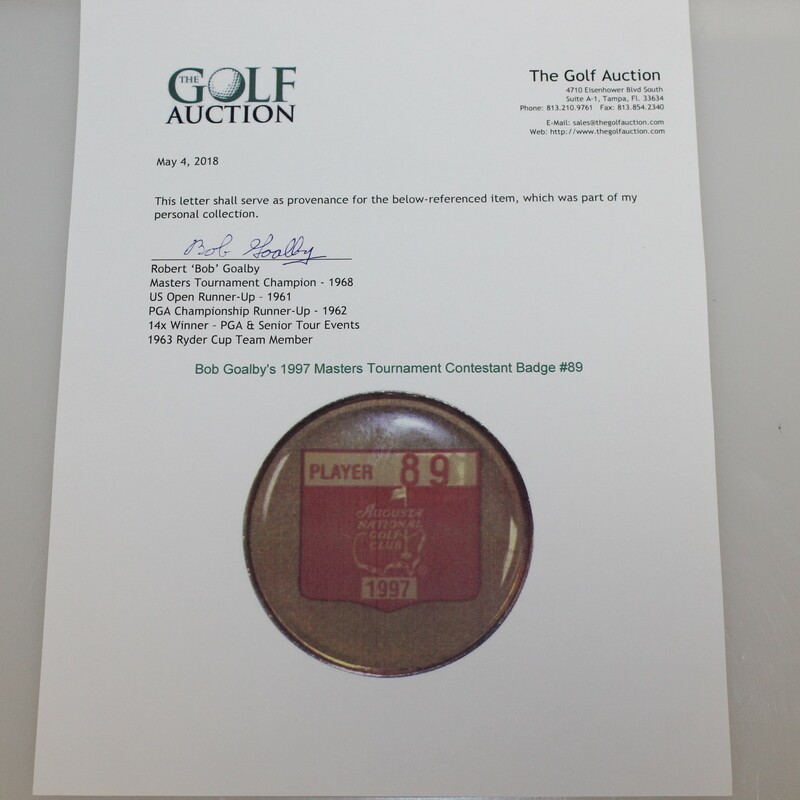 Offered here for bidders is Bob Goalby's contestant badge #89 from that tournament. 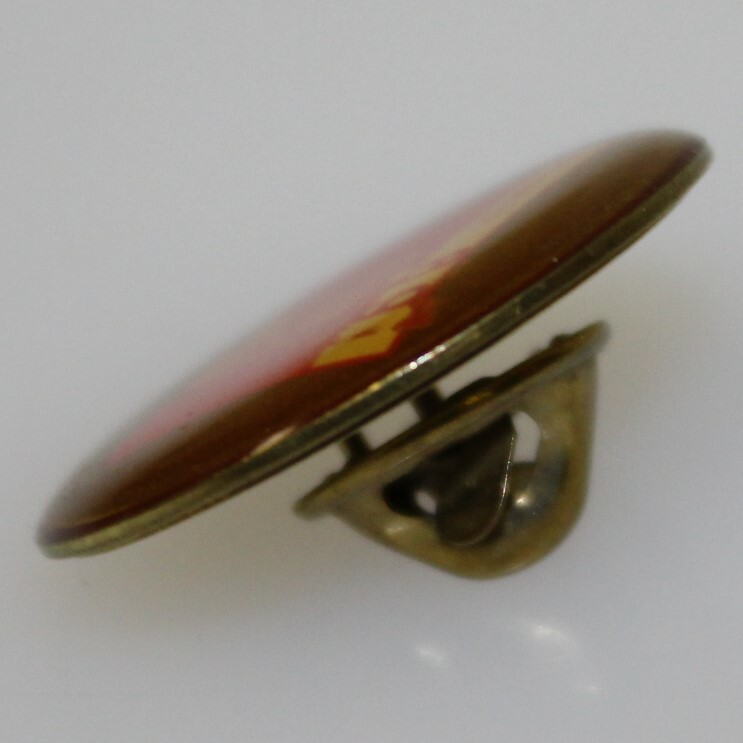 The badge comes in great condition with the pin intact. 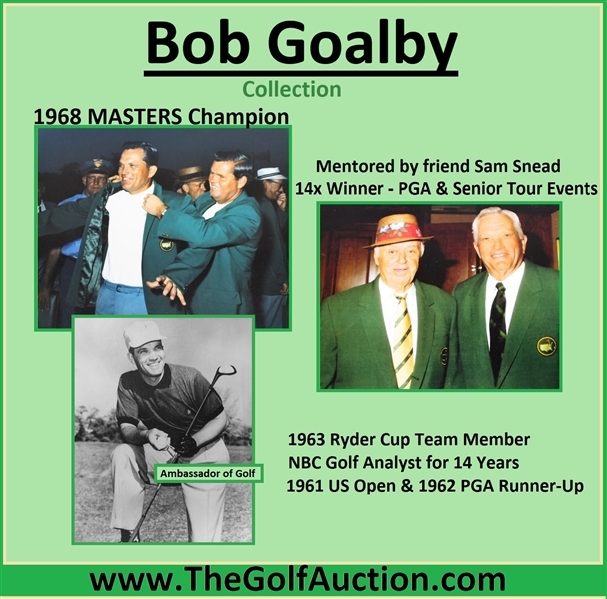 Many, if not most of you are aware that Bob Goalby on April 14th, 1968 won the Masters Tournament. His triumph was accomplished by brilliant play when it mattered most, in back nine Sunday fashion, posting an eagle at hole 15-(Tournament founder Bobby Jones described his play on that hole in a post-championship letter to Goalby,"Your exquisite shot to the 15th, which was the finest shot I have ever seen played on that hole"). 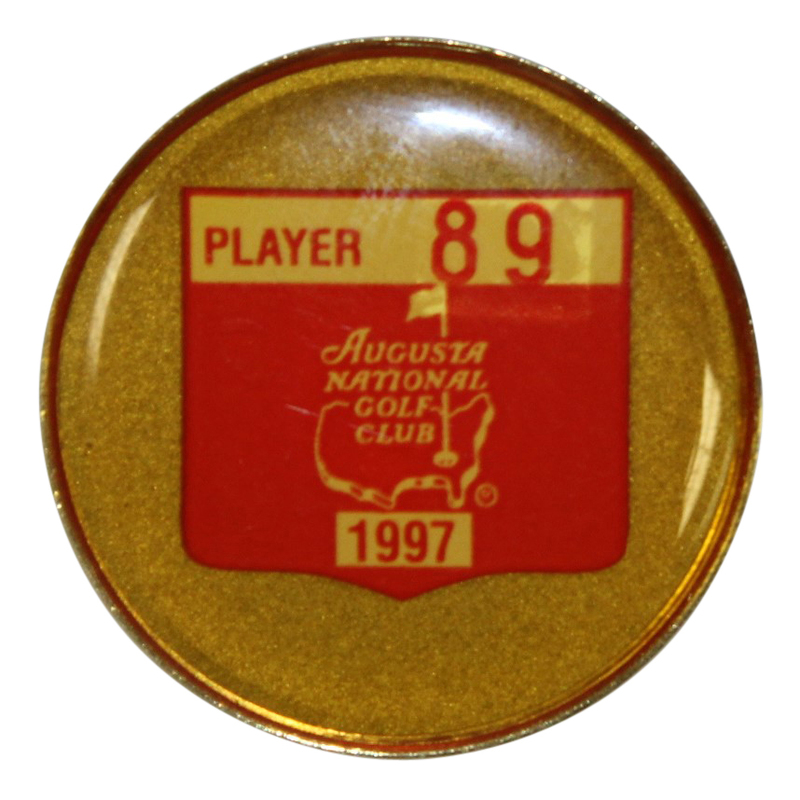 The eagle at 15 highlighted a brilliant final round which saw Bob post a 66 for an overall score of 277, the third lowest 72 hole score in the 32 years of play to that date at the Masters. With this victory he etched his name forever in the record books as one of Golf's Major winners, to date an elite group limited to just 220 golfers of which 52 are Masters champions. The 1968 Masters champion in a letter of thanks, to Jones and his fellow Augusta National founding member Clifford Roberts, talked of going forward with "humility and appreciation and also with the dignity and class that so typify the Masters". Goalby over the next 50 years in the golf world has been true to those ideals he pronounced. One thing is exceedingly clear, if you are ever fortunate to spend any length of time with Bob Goalby, he is an Ambassador for the Sport of Golf. He was through his 11 PGA Tour wins and one stroke runner-up finishes in both the 1961 U.S. Open and 1962 PGA Championships(in pursuit of one of those wins he even made a Tour record of eight straight birdies during the 1961 St.Petersburg Open). He was through International team competition at the 1963 Ryder Cup play (Bob posted a 3-1-1 record including 2-0 in singles matches for the Arnold Palmer captained team at East Lake). He was post playing career with a successful decade plus run as a PGA Tour golf commentator for NBC. He was that same great citizen of the game's high moral standards as a founding member of the Senior Tour who sat on that circuits Policy Board while still finding time to keep his game sharp enough to add two more wins to his career resume. If that was not enough his ideals about the game of golf and it's Touring pros can still be seen today at the professional level through nephew Jay Haas on the Champion Tour and great nephew Bill Haas on the PGA Tour. With all these thoughts in mind, it is the utmost pleasure and honor for The Golf Auction to enter into a long term agreement with Bob and his family members to offer cherished mementos from his most distinguished and long running career. This auction will offer a one time opportunity to obtain personal items which belonged to Mr. Goalby. 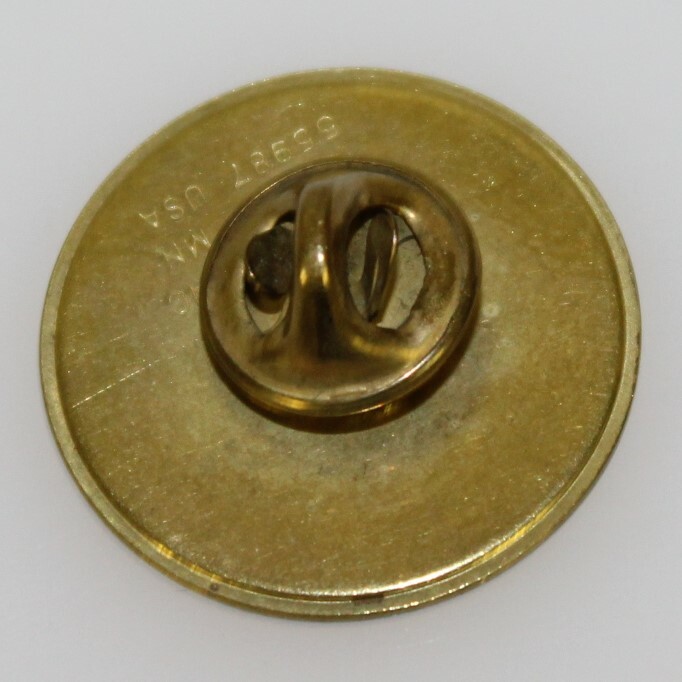 Additional offerings though planned and contracted will not occur in the foreseeable near term, so please bid aggressively on this unique privilege which presents itself.